This Spring Quote from Mark Twain is my absolute favorite! You might also like Ten Early Signs of Spring! That is a fabulous quote! How have I never seen it before? 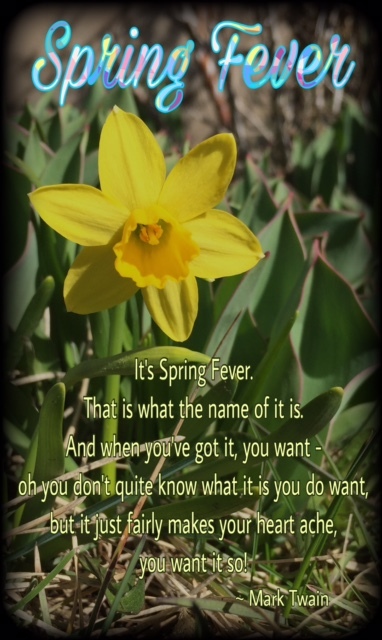 When I was a young girl I was terribly affected by spring fever, and Mark Twain described it perfectly! I agree Jean, I LOVE this quote!! I love spring and summer, spring is great, summer is even better. Thanks for sharing at #WednesdayAIMLinkParty. I shared it on social media.